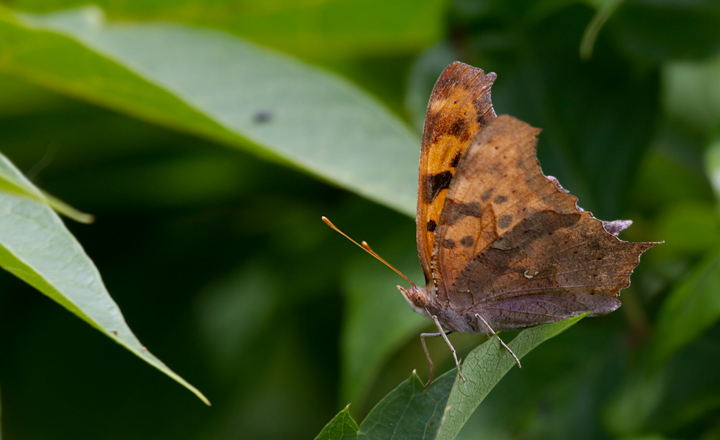 Rare bugs in Anne Arundel Co. Last updated: 6/8/2012. 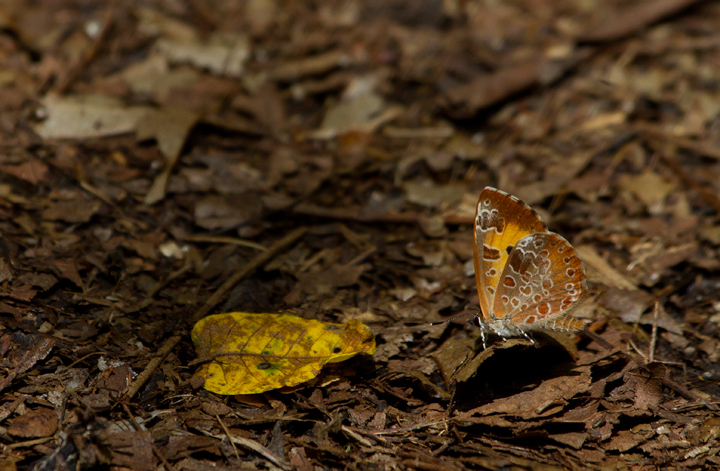 With Jim Brighton and Tom Feild. 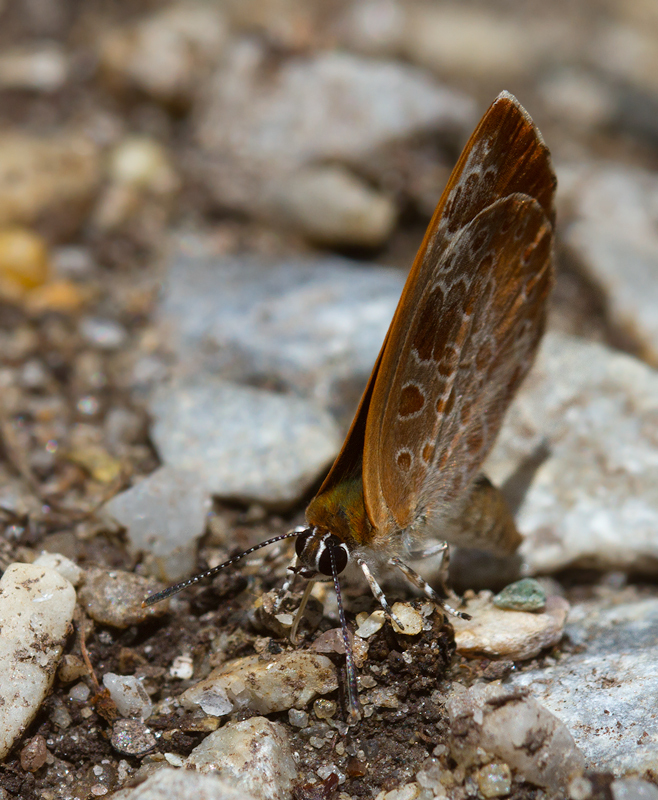 Above and below: A Harvester - perhaps my most wanted eastern U.S. butterfly species - a mind-blowing find here in my home county (Anne Arundel, Maryland, 6/3/2012). 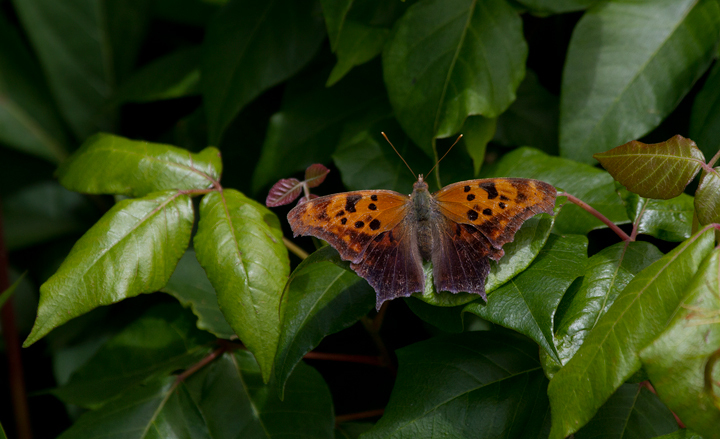 Not only is it beautiful and locally rare, it has the distinction of being the only carnivorous North American butterfly. 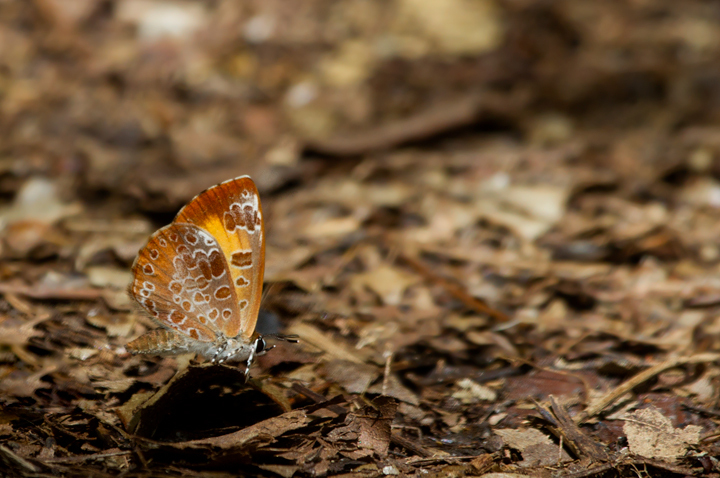 The caterpillars feed on wooly aphids and similar tiny insects, while the adults sip aphid honeydew. 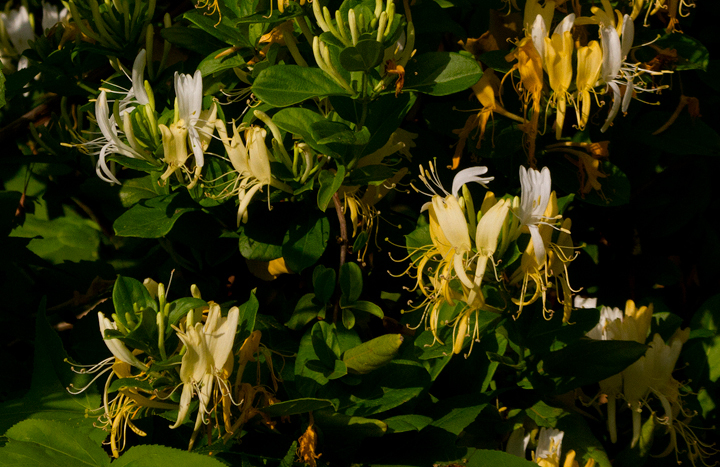 They do not nectar on flowers. 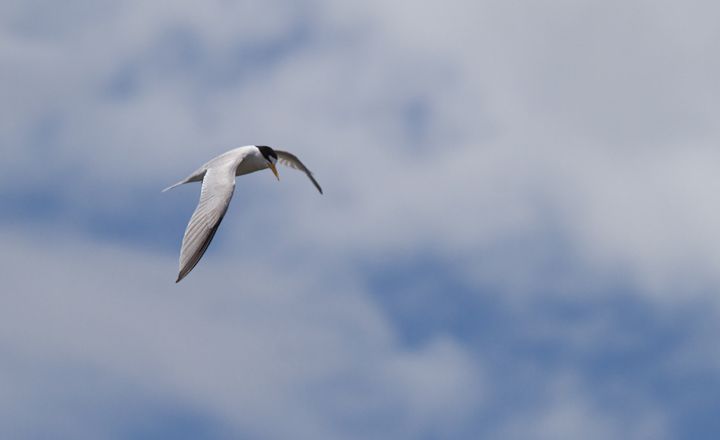 Too cool. 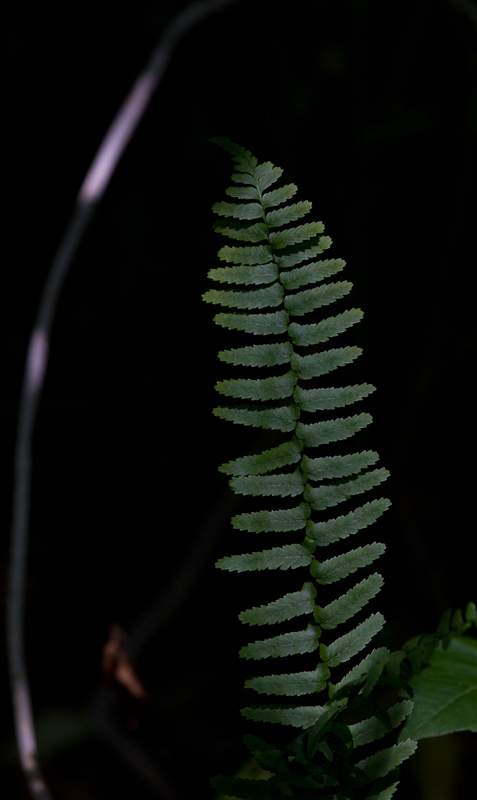 Below: Ebony Spleenwort (Asplenium platyneuron) in Anne Arundel Co., Maryland (6/3/2012). 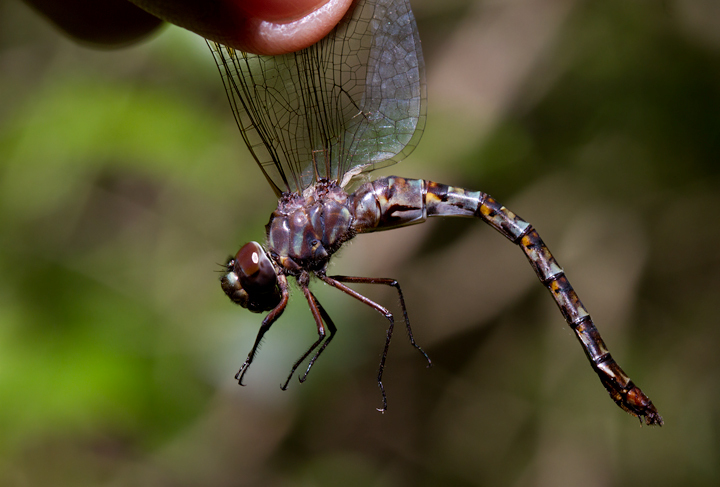 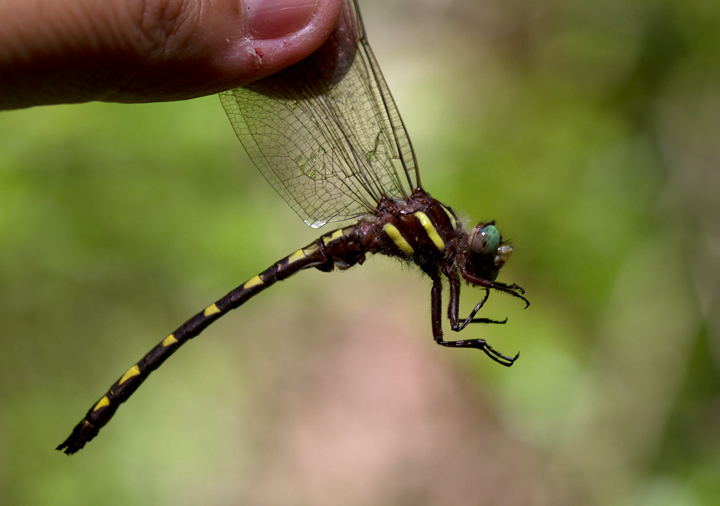 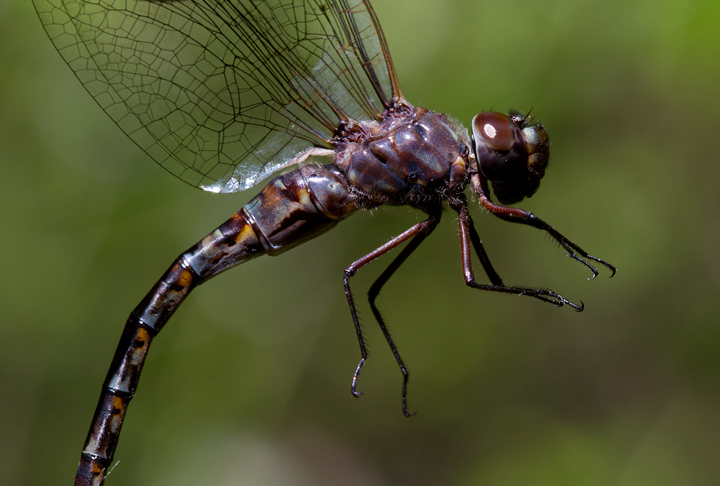 Below: A rare Taper-tailed Darner in Anne Arundel Co., Maryland (6/3/2012). 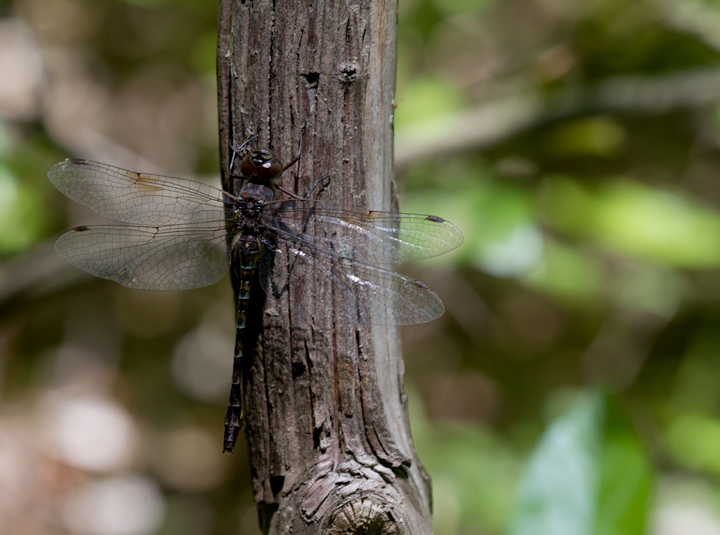 In perched images, the first is in situ while last two images are posed after photographing in hand. 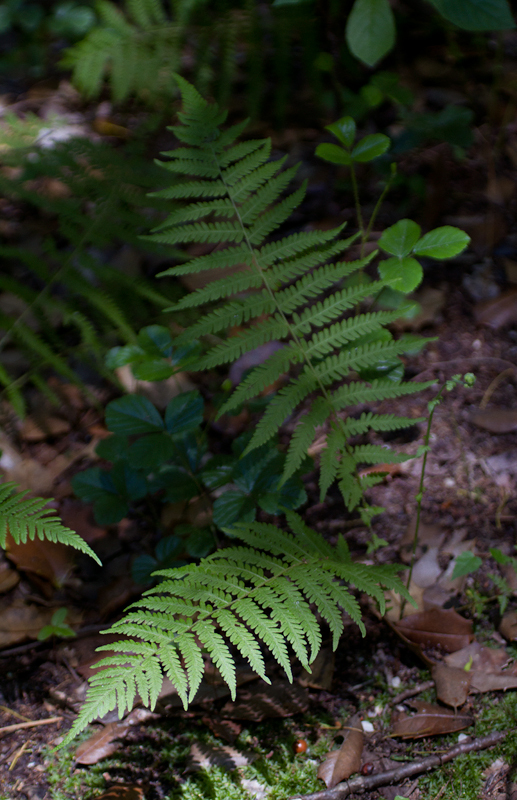 Below: New York Fern in Anne Arundel Co., Maryland (6/3/2012). 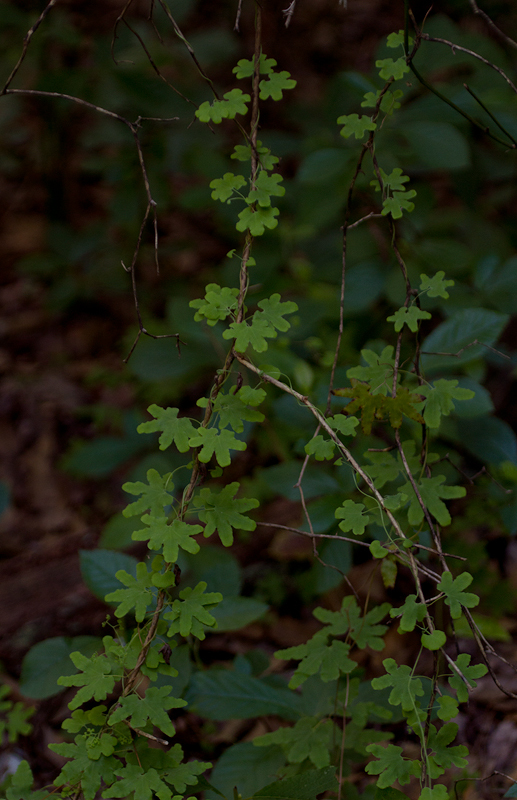 Below: Climbing Fern in Anne Arundel Co., Maryland (6/3/2012). 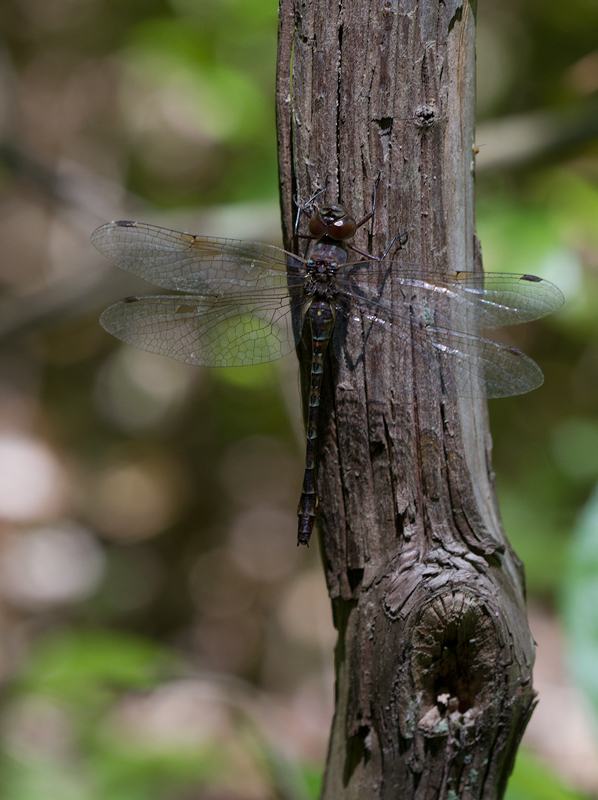 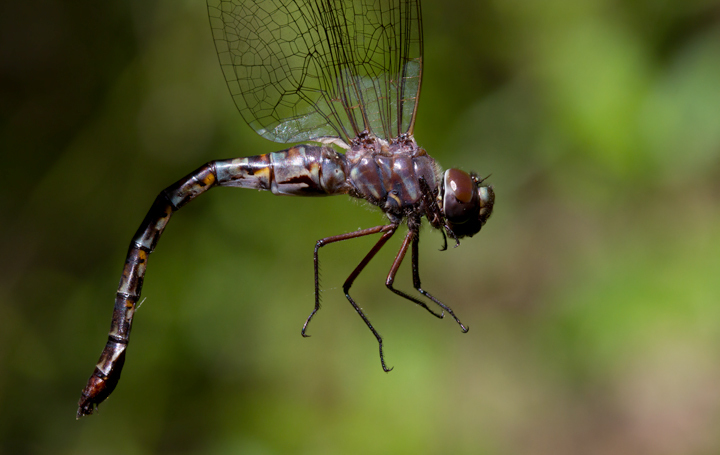 Below: A Brown Spiketail in Anne Arundel Co., Maryland (6/3/2012). 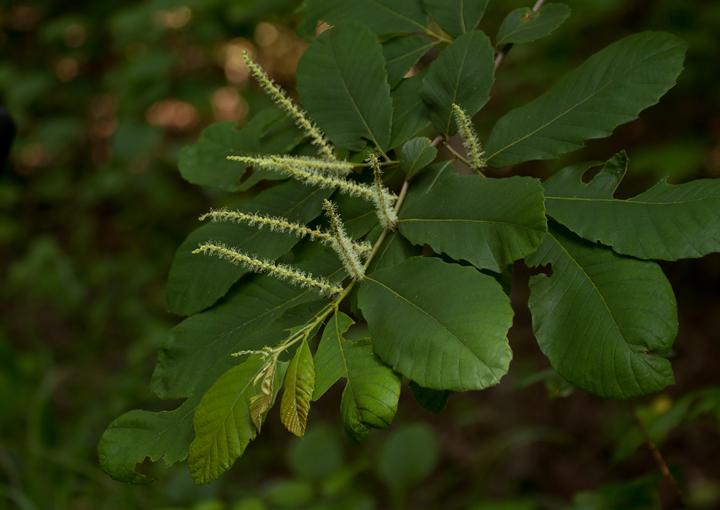 Below: Allegheny Chinkapin in bloom in Anne Arundel Co., Maryland (6/6/2012). 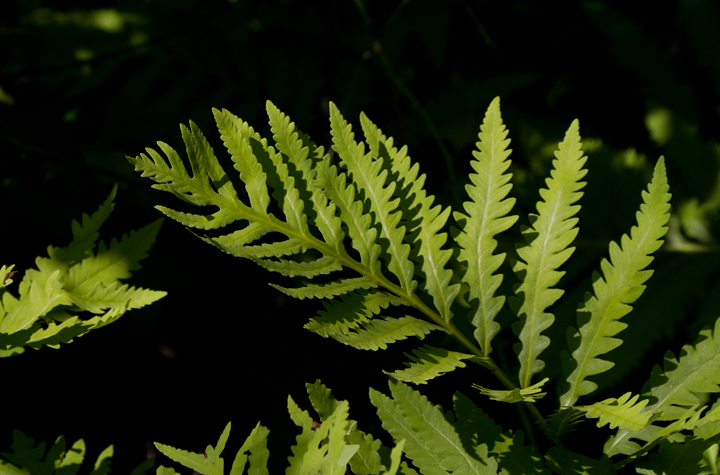 Below: Sensitive Fern in Anne Arundel Co., Maryland (6/3/2012). 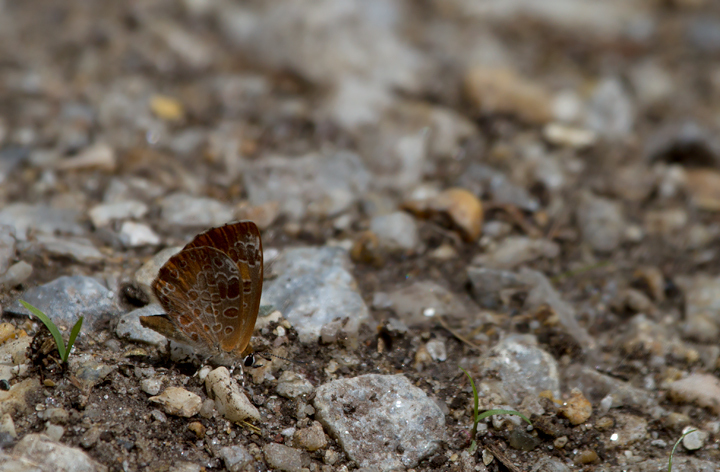 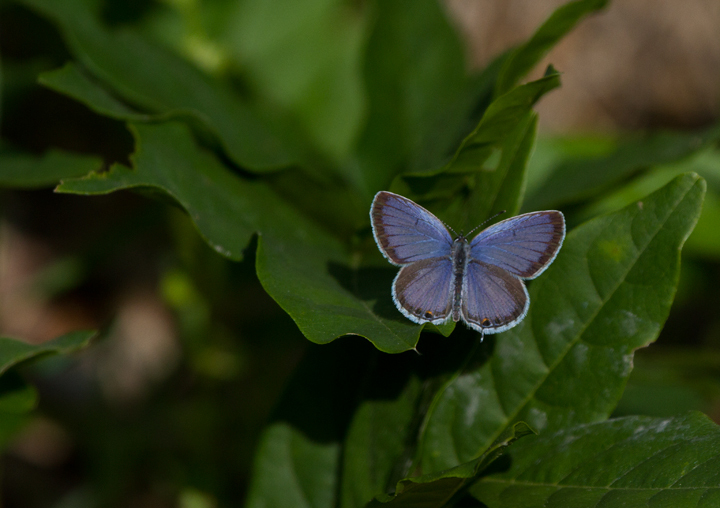 Below: An uncommon image of an open-winged Eastern Tailed-Blue - Anne Arundel Co., Maryland (6/6/2012). 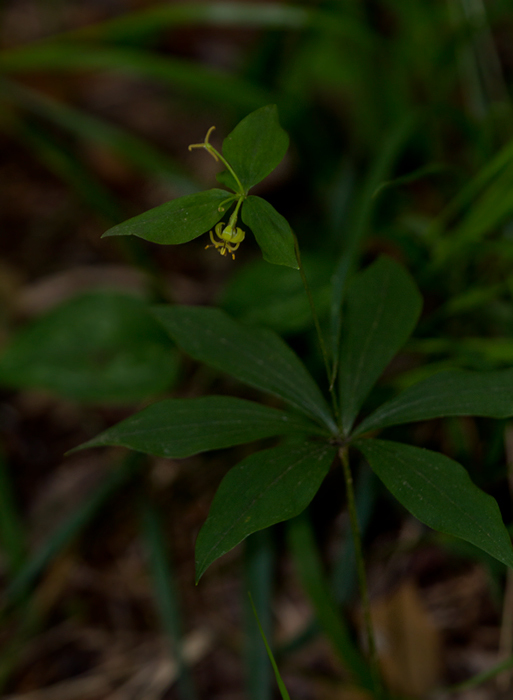 Below: Indian Cucumber Root blooming in Anne Arundel Co., Maryland (6/6/2012). 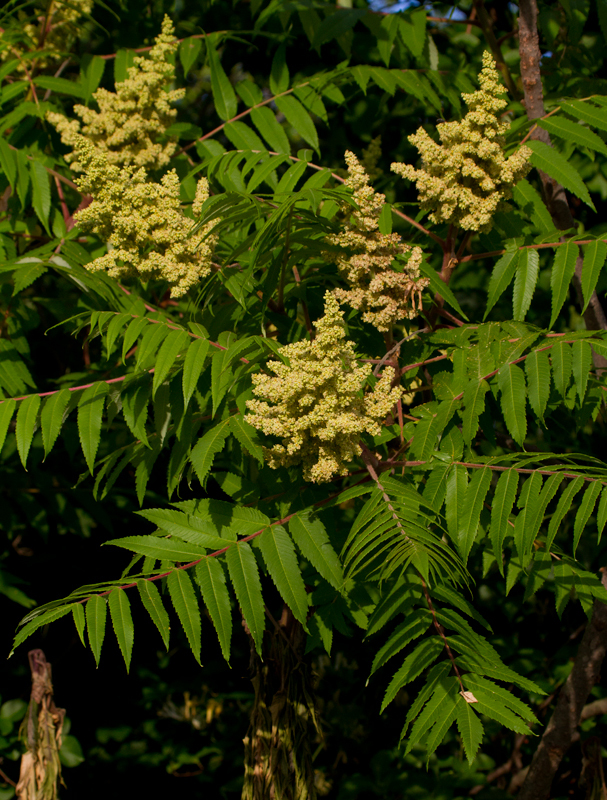 Below: Smooth Sumac at Fort Smallwood, Maryland (5/22/2012). 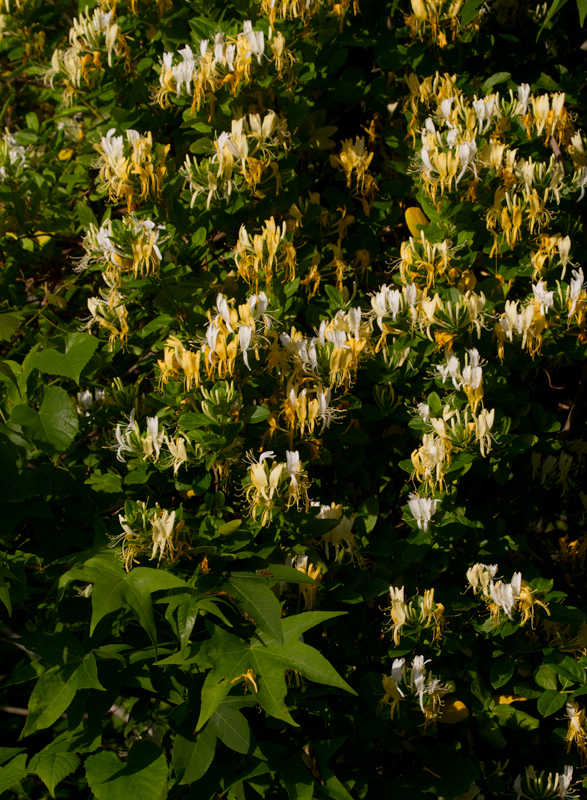 Below: Japanese Honeysuckle at Fort Smallwood, Maryland (5/22/2012). 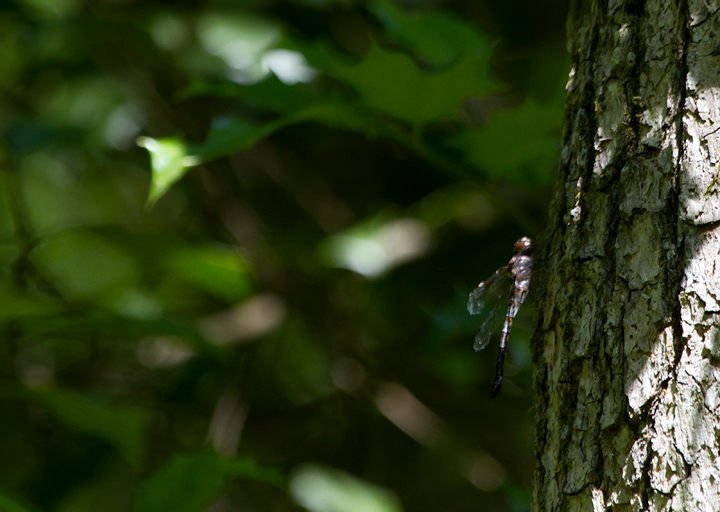 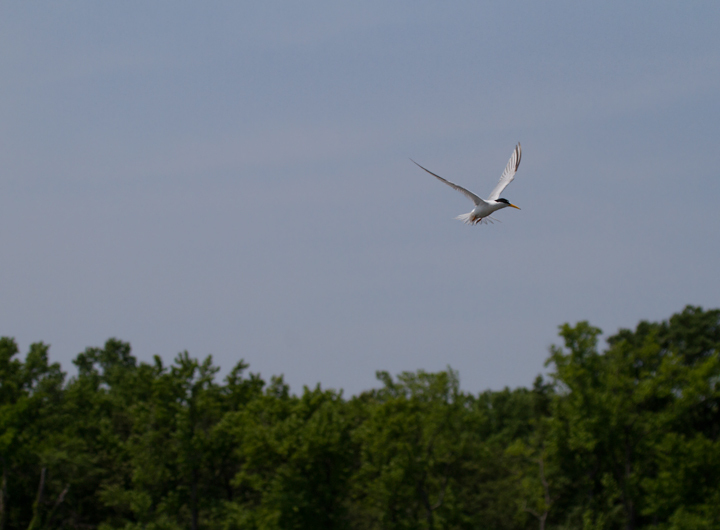 Below: A Question Mark at Fort Smallwood, Maryland (5/22/2012). 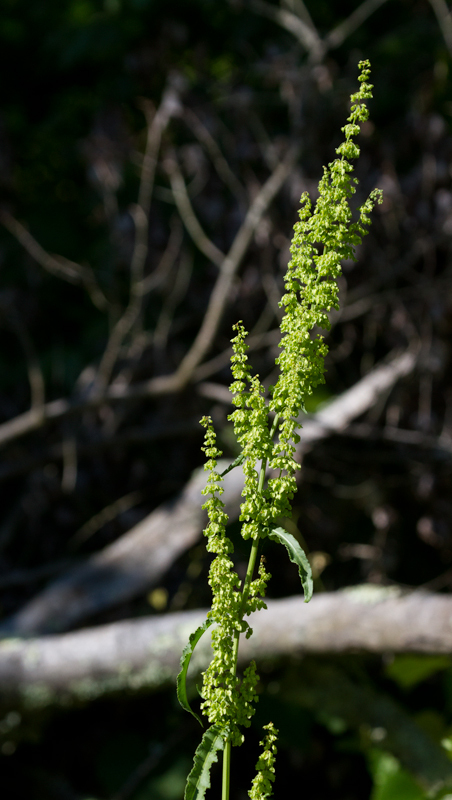 Below: Curly Dock in Anne Arundel Co., Maryland (6/6/2012). 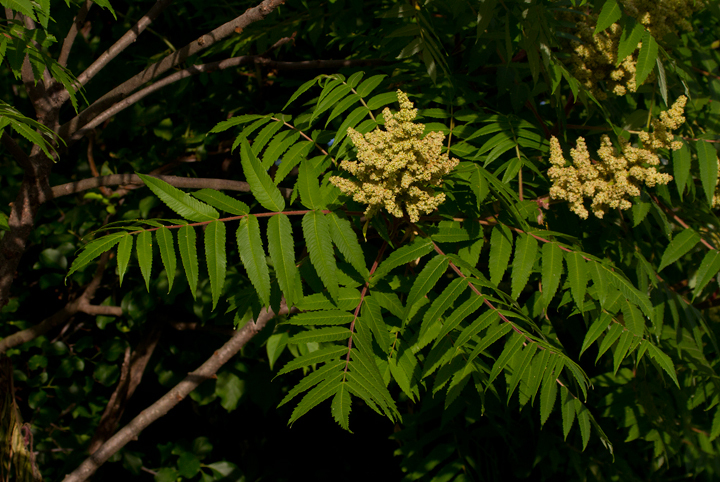 Host plant for Bronze Copper. 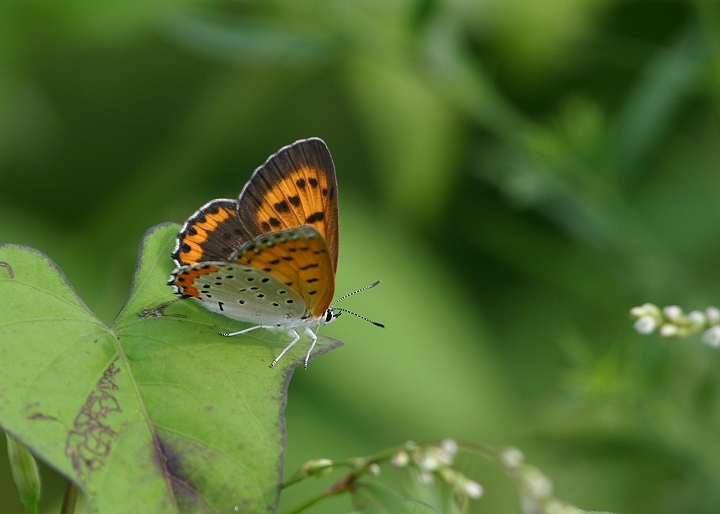 Below: A Bronze Copper in Dorchester Co., Maryland (8/23/2005). 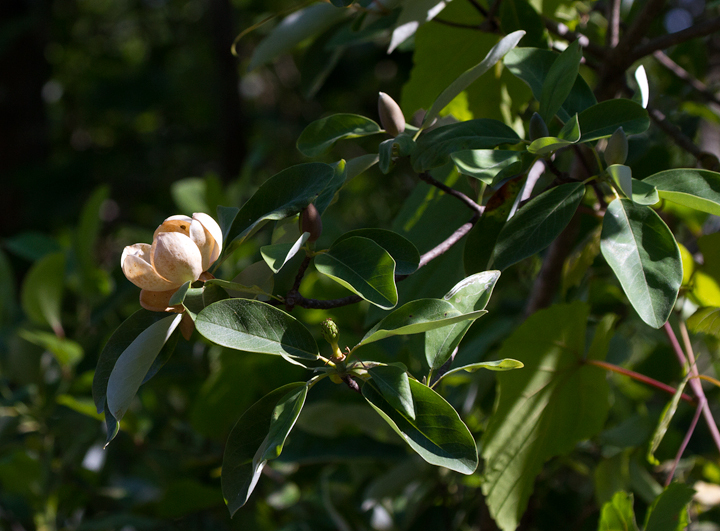 Below: Sweetbay blooming in Anne Arundel Co., Maryland (6/6/2012). 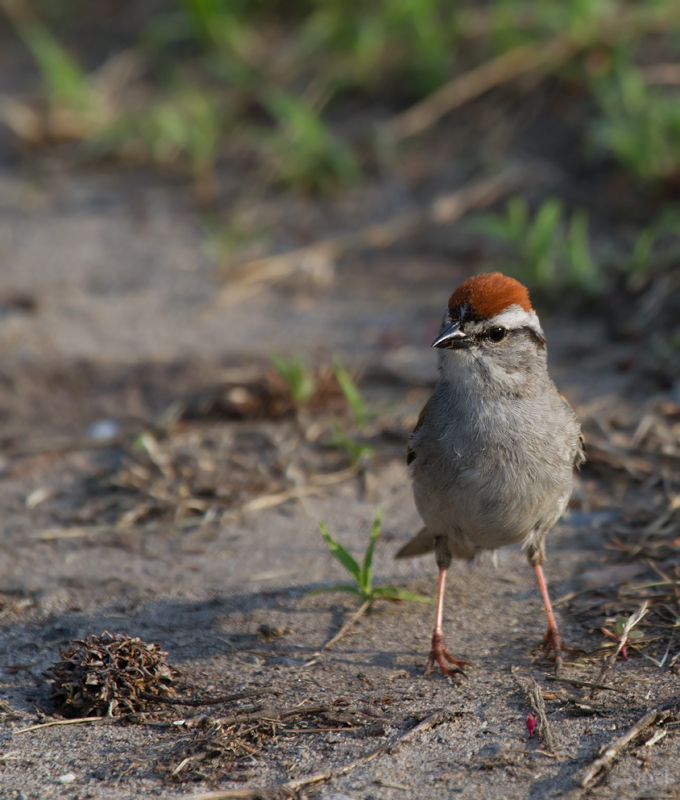 Below: A Chipping Sparrow forages confidingly along the trail at Fort Smallwood (5/25/2012).